The Breville Grind Control brewer grinds and brews your coffee, for super-fresh coffee every time. In a hurry to get your hands on one? 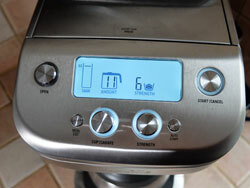 You can get the Breville Grind Control brewer through Amazon.com. If you love coffee, you know that as soon as you grind your coffee beans, you start to lose flavor. That’s why we buy whole beans, and not ground coffee. And that’s why we grind our beans just before we brew. At least, that’s what we do if we really, really enjoy the subtler flavors of a well-roasted coffee. 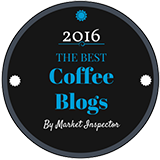 Typically, this means investing in both a quality drip brewer and in a coffee grinder. And that grinder should be a burr grinder, not a blade grinder. 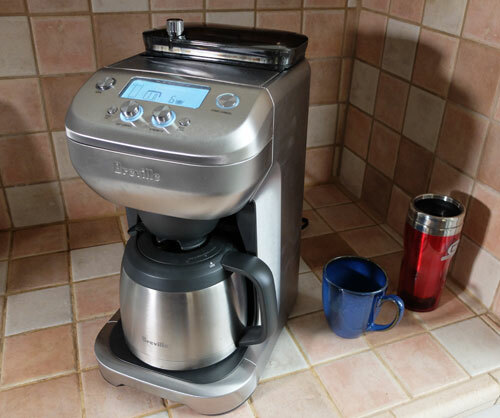 So… this is the starting point when we talk about the Breville Grind Control brewer. The burr grinder is integrated into this brewer. When you press the start button, two things happen. The heater starts to heat up the water, and the grinder starts grinding the beans you’ve placed in the hopper at the top of the machine. And once the ground coffee is delivered to the filter basket - automatically – the water begins to drip through. In other words, there is no opportunity for any of the flavors from the beans to evaporate out into the air, because the water drips down and extracts those flavors within seconds of the beans being ground. The water then drips through, just like with any drip brewer, and into the 12-cup thermal carafe. Why a thermal carafe? Because a glass carafe needs a hot plate underneath it to keep the coffee hot. And hot plates have a nasty habit of over-cooking your coffee, and destroying its taste. All this to say that the Breville Grind Control does everything possible to maximize the quality of your brew. OK... so now let’s drill down to some of the details and other features this brewer offers. 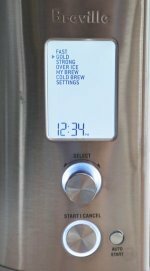 The bright LCD display shows you everything from water levels, size of the brew, brew strength and more. The hopper takes up to about half a pound of coffee, so you won’t have to refill it every time you brew. You can also adjust the fineness or coarseness of the grind. When you turn the adjustment knob at the top, you’ll see the grind settings change on the LCD display screen. For the filter basket, the brewer comes with a gold tone filter basket. Use that if you want or, if you prefer, you can use paper filters. The carafe takes up to 12 cups of coffee. But keep in mind that this means twelve time 5 ounces. More like cups that mugs, which typically hold 8 ounces or more. There is a setting that lets you choose how many cups you want to brew. Maybe a full carafe, maybe a half carafe. It’s up to you. 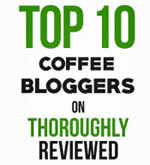 Plus - and this is a feature of lot of people will appreciate – you can also brew just one cup at a time. Take away the carafe, place your cup on the drip plate, and adjust the settings to make just one cup. There are multiple settings for the cup size, so you can brew enough for a regular mug of coffee or for a big, 20-ounce travel mug. And part of the drip tray is removable, to give you the height for large travel mugs. Pretty cool stuff. Whether you are making a full carafe or a single cup, the brewer grinds just enough coffee and adds just enough water. In addition, there are other setting options that allow you to choose the strength of your brew. Long story short, this is a heck of a brewer. We’ve been trying it out for a few days now. And I suspect – for the first time in years – our current grinder and brewer will be consigned to the basement, and this will become our new brewer of choice. In addition to all the reasons why it makes such good coffee, it also takes up less counter space than our separate burr grinder and brewer. A big thumbs up as far as we’re concerned. If you can’t find one locally, the Breville Grind Control brewer is available through Amazon.com.